Indian efforts to make it easier to do business in the country paid off on Tuesday as the country jumped up 30 spots to 100 in the World Bank’s 2018 'Doing Business' report. Among those reforms are a shift to paperless customs, a number of operational changes at ports throughout the country, a monetary policy adjustment, and tax reforms credited with improving trucking productivity. “With eight reforms making it easier to do business in 2016 to 2017, India was the only economy in South Asia to join the list of the 10 top improvers,” the global lender stated in its latest report. The report particularly highlighted the rapid progress Jawaharlal Nehru Port Trust (JNPT) made in reducing “border compliance times” with infrastructure and process improvements. With direct port delivery services for the clearance of import cargo and a similar fast-track scheme for gate-in of factory-stuffed exports, cargo dwell times have shortened dramatically at JNPT, lowering logistics costs and cutting congestion. Other steps included automated gate procedures and a radio-frequency identification (RFID) technology-enabled container tracking system. In a recent report, the RFID service provider said JNPT terminals are able to process ships between two and two-and-a-half days and that overall dwell times there average 48 hours. “Thanks to the increased use of electronic and mobile platforms, since July 2016, importers under the authorized economic operator [AEO] program have been able to clear cargo faster through simplified customs procedures,” the World Bank stated. Cargo clearance at all other gateways in India has also become much faster as well, with most of those processes going online and the infrastructure upgrades. Digitization should gain further pace at Indian ports with an electronic self-sealing program for factory-stuffed export cargo in the works. Authorities are also working toward a "port community system" to integrate all trade processes tied to delivery orders, transport orders, gate open-cut off times, delivery gate schedules, gate-in bookings, and pre-gate schedules under a single digital tool. Additionally, new legislation to transform all major state ports into independent companies will give them a freer hand to improve their infrastructure and compete better with privately-operated minor rivals. 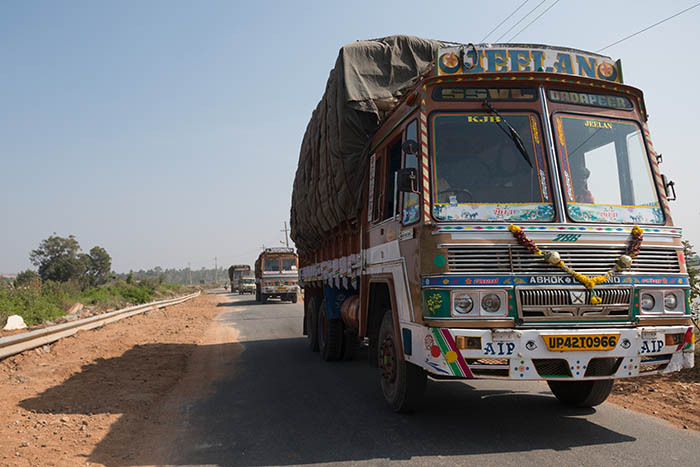 India could make further gains thanks to its Sagar Mala port-led program to reduce import and export costs that undermine the country’s trade competitiveness and make logistics cost 14 percent to 18 percent of GDP. Last week the government also unveiled an immense Rs. 6.92-trillion (approximately $106.63 billion) road-building program for over the next five years.